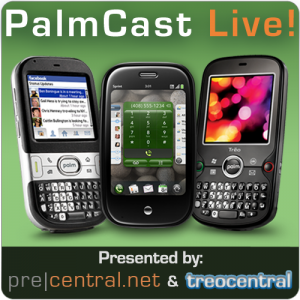 Our team recorded a late PalmCast last night and that's coming soon, but in the meantime the Smartphone Experts team at CES sat down last night with the guys from The Cell Phone Junkie for a raucous romp through the mobile news that has hit so far at CES 2011. As you know, Palm and HP have decided to sit out CES in favor of their own event on February 9th (which just might have been the right decision given how many tablets have been released here, it's easy to get lost in the shuffle). So while there's no Palm news here to speak of, there is plenty that Palm fans should be aware of before the Feb 9th event. Listen in to hear more Android, PlayBook, and 4G talk than you could possible imagine.